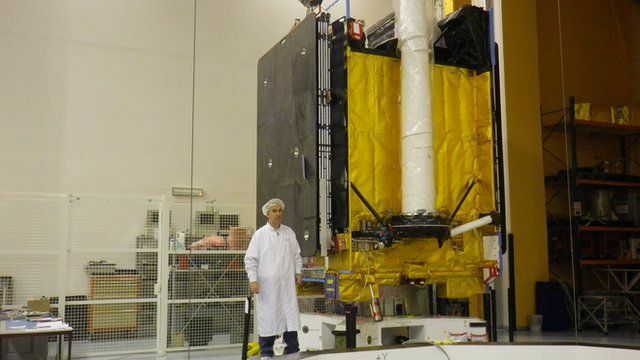 A powerful new telecommunications satellite is being launched on Wednesday for the British military. The Skynet-5D spacecraft is the final piece in a multi-billion-pound system that enables UK forces to stay connected wherever they are deployed in the world. Because it is a military system, Skynet has been designed to evade enemy jamming and eavesdropping, and as such contains a number of classified technologies. BBC science correspondent Jonathan Amos was granted special access to the spacecraft before its launch.